At High Grade Automotive, we offer a range of engine repair services. From simple checks to more involved repairs, depending on the make and model of your automobile. Our state-of-the-art service facilities incorporate the latest automotive engine repair technology. 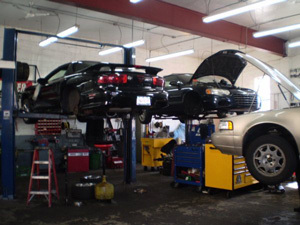 We offer complete tune-ups. Your automobile’s engine may occasionally require more than a tune-up. After inspecting your vehicle, our technicians may recommend other services for the health of your engine. If your automobile requires engine repair service or you would like to schedule a routine tune-up, call us at (516) 326-2449.